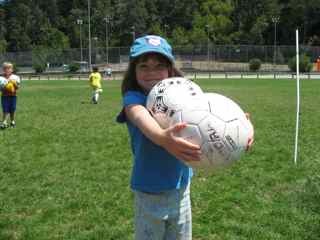 Welcome to Santa Cruz Soccer Camp! 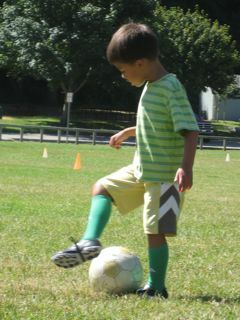 Camps begin June 10th and goes every week until the week of August 12th. Each week concludes with a parent-camper game at 12:00pm on Friday, where campers can showcase their skills against their parents. This is followed by our award ceremony where campers recieve a special award certificate with their individual and group photo. The day ends with a potluck BBQ, where we provide the hotdogs and buns, and families bring 'finger food' to share. 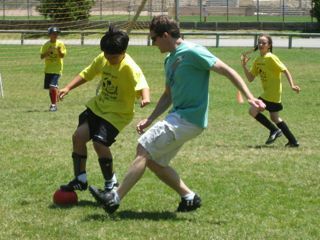 Santa Cruz Kids has supported Santa Cruz Soccer, Inc. for 11 years!